Moisture damage is one of the biggest and most common problems in roofing for new construction. Improper installation can lead to water pooling in places where it can cause premature rot and damage wooden structures in your roof system. This poses a lot of subsequent risks to many different parts of your home. We asked our roofing specialists at Thompson Roofing and Construction for their best solutions to this problem, and they all agree on one particularly important step during installation: venting. Different climates will have different venting requirements for your roof. Homes in colder areas benefit from vents by allowing condensed moisture from the heated space underneath away from the roof system. The vents also prevent melted snow from producing ice dam problems by giving it a temporary place to gather before drainage. For homes in hotter areas, roof ventilation works by giving your ceiling and attic ample insulation against radiant heat from the sun. This helps in energy efficiency by keeping cooling loads under manageable levels. Your roofing is part of a system involving your siding, gutters and the rest of your home. Problems in one area often extend to other areas as well, exacerbating the effects and causing massive inconvenience to you and your home. Overheated attics in the summer can crack and warp asphalt shingles. This, in turn, might lead to leaks that cause water damage to your siding and other parts of the system. In winter, ice dams hold water, placing unnecessary weight on your roofing support, weakening it as well. 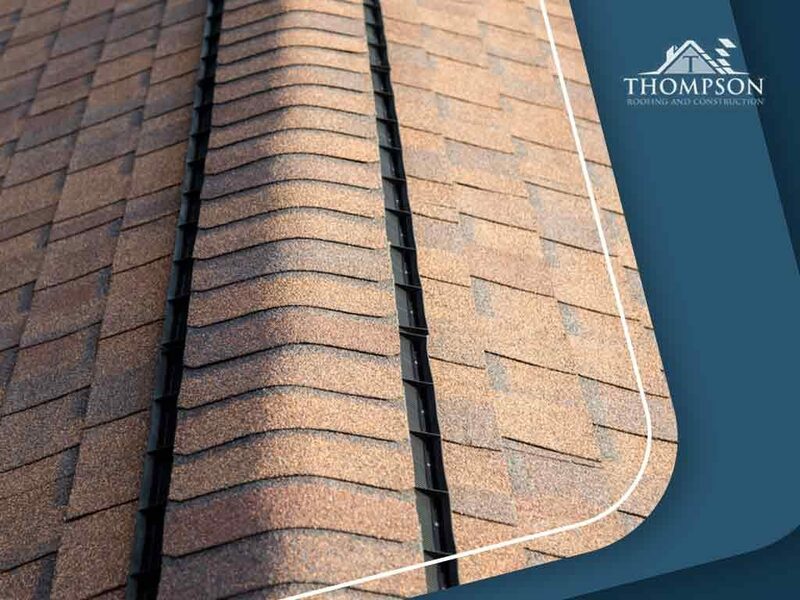 Thompson Roofing and Construction offers solutions for all problems relating to your roof and gutters. Ventilation is such an important aspect of the installation or replacement of roofs that it’s not recommended to take on this task yourself, especially if you have no roofing experience. Trust only the professionals to help you keep your roof in excellent shape. Call Thompson Roofing and Construction today at (256) 251-5566, or use our online form to request a free estimate. We serve Huntsville, AL, and nearby areas.